It’s obvious that TfL are trying to make more money. With the LTs, the driver isn’t responsible for fare evasion. After reading this whole thread, I personally don’t think TfL are losing out money wise, with fare evasion on the LTs. Since the hopper fare was introduced, TfL shouldn’t really be losing much money from fare evaders, as most of the time, those fare evaders have already tapped into another conventional two door bus, prior to boarding an NRM. Now personally, I am a bit skeptical about this whole thread, for a few reasons. 1. The way the LTs side panel controls are set up, means that only one button is used to open all doors, three buttons to close each door. Whether that can be changed easily, I don’t know. Re-wiring things would definitely be possible, but it would be a case of needing new plastic mouldings for the side panel in the cab to accommodate the additional buttons. TfL definitely will have the money, but it just seems like unnecessary costings needing to be spent when TfL are in times of wanting to save every penny. 2. Removing open boarding definitely does completely remove the purpose of the LTs. It’s the only thing that makes them unique from other double decks. As others have said, they hoover crowds up really quick, and probably is one of the very few buses that won’t drive past you/won’t let you on at busy stops. Like vjaska, the 3 is also my local route, and I’ve seen major changes with the time that it spends at Brixton station (southbound), since it’s vehicle change. It’s a bit of a double edge sword, but I’d rather wait to see TfL officially state their plans for changing the way we board on LTs, as opposed to speculating on a thread where the source of this information isn’t clear. As in acceleration. The N9 drivers seem to think they’re quicker than the SPs off the mark and they’re hybrid. Win win situation. The route just needs a tighter timetable. If this goes ahead TFL may find that there isn't as much spare capacity on the 48 and 55 as many are not touching in and therfore the data is not recorded. In reality now the rear staircase is never going to be walked up as no one is going to walk to the back of the bus to use it. Will still be useful of course for people coming downstairs thou. If this is true I do find this funny, makes me think what was the point of introducing them. It seems TFL have realized Free Buses is not the way forward the following routes which advertise it will no longer exist . Free/NFree, Freebie-Eight/NFreebie-Eight, Seventy-Free/NSeventy-Free, One-Free-Seven/NOne-Free-Seven, Two-Five-Free/NTwo-Five-Free, Free-Ninety, Four-Five-Free and the Freeast London Transit. Revenue staff are humans who need to be employed, paid and have pension provision made. Not compatible with Mike "Financial Efficiency" Brown's vision of TfL. 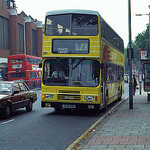 I always thought that the whole idea of LTs was an open rear boarding platform, mimicking the old Routemaster. That surely was the whole purpose in their design and that a conductor could collect fares which would prevent fare evasion. Once you have three door boarding with no conductor (and I don't count the Customer Service Assistants as was, because they never collected fares) and have the 'fare box' protected by 'passenger honesty' you have a problem. This is no different to the 'bendy buses'. There's nothing new here that hasn't been around since the start of the bendy bus. The issue that has changed is the financial situation TfL find themselves in, which I would argue is down to mainly due to the current and previous Mayors as well as the government. TfL could put on a lot more revenue inspectors on the LT routes which would help, I suspect they know the areas and routes which have a problem. Yes, you would have the cost of additional revenue inspectors, but with penalty fares of £40 or £80 (depending when paid), those inspectors would soon be paid for if the problem is as large as it is being made out. I don't know how big the problem really is, generally the only LT route I use regularly is the 189, and from my small observations, people do tap in. Perhaps I am looking at the wrong stops or route! The problem TfL now face is putting the genie back in the bottle, people are used to and expect to be to enter / exit from any door. If TfL try and change this it will no go down well with passengers. I can't remember who in TfL or where it was said, but I am sure someone did say that TfL and it's predecessors often used to act as if the bus service was provided for them, not the passenger, now it is run for the benefit of passengers. Changing LT boarding sounds like a convenience for TfL not the passenger. snoggle is right that there will be some stops where such a change will increase running times. Whether it will tip the balance into an operator requesting to put in an extra bus, or timetable reduction remains to be seen. Whatever else it is, it would certainly be a retrograde step. I'd argue that something did change between the bendy bus days and the emergence of the NB4L. It is clear from the published numbers (even with the inevitable spin that accompanied the removal of bendy buses) that fare evasion levels were high on the bendies. I think it's true to say that every bendy route reverted to conventional double decker operation and only later did the NB4L come along. The published numbers (generally an overall figure) for NB4L fare evasion are, for some reason, lower than seen on the bendies even though the open boarding concept is very similar. So really we've had three different levels of fare evasion - bendy bus, NB4L and normal OPO buses - in the last 15 years or so. TfL clearly want to take us back to all OPO as fast as they can sensibly manage. I assume the 507/521 won't see any changes to their arrangements as I doubt they're a hot bed for evasion. In addition to the "obvious" reason of TfL scrambling about for every last penny I think TfL's need to keep redeploying NB4Ls means they need to change the operational concept to stop spreading fare evasion to new corridors. If, as rumoured, the 19 and 67 get NB4Ls do TfL really want higher rates of evasion in new bits of London where those routes go with no parallel NB4L routes - St Anns and Wood Green, the area from the Angel via Highbury to F Park. I know there are NB4L routes near these areas but if I was "hard up" like TfL I wouldn't want to be encouraging more fare evasion. I therefore wonder if any further NB4L conversions will also coincide with the abandonment of open boarding? It would make sense if there are different risks for the operator (as mentioned in another post in this thread) to bear with OPO vs NB4L open boardng as the negotiation for the route conversion can cover off the risk issue too. Not only were the bendies not replaced directly by NB4Ls, but a majority of the routes concerned haven't ever had them inflicted i.e. as well as the 507/521, the 18, 25, 29, 207 and 436. Whether that is entirely coincidental I wouldn't know. If this idea has any legs (and I suspect it may be being floated to gauge reaction from such as this forum before it goes any further) I can see huge problems with any attempts to prosecute anyone for fare evasion on the basis that they entered via either of the two newly-banned doors and made no attempt to pay at the front. A defence that 'I was expecting to encounter an Oyster reader and when I saw there wasn't one I just went and sat down - I wasn't seeking to evade my fare' might not be considered unreasonable. I think that'd be a reasonable defence for a good couple of years after any change. If cases came to Magistrate's Courts and got thrown out (or, alternatively, defendants were found not guilty) then TfL's appetite for confrontation on the issue might deteriorate somewhat. On the RailUK forum there has been a discussion about fares on Tramlink, how you pay them and if you have to touch in each time you change trams in the course of a journey. TfL on the one hand wants to pretend trams are buses for fare purposes, which they are in the sense of only one flat fare, but are not because in TfL literature and official online stuff it is clear that you can change trams without paying an extra fare: you just DON'T touch in, which is contrary to what they say in other statements. In other words, that aspect is more like a tube journey, minus any touch-out at the end. I believe TfL deliberately keep this vague, as they can make extra revenue from those ignorant of their rights. Hopper Fare admittedly means not too many passengers should lose money by touching in again, but it's still a fudge. You clearly haven't been on a HV on the 149 then! As many try to board at the back and drivers spend alot of time trying to police the bus therefore the whole journey is delayed. Also majority of people know the difference between a LT and a 2 door DD. If they see a LT turn up they are just going to board from the rear doors regardless. Unless there is some sort of police presence, routes such as the 149,253,254 and the East London transits will still suffer. Having a HV on the 149 is bad enough. I used to call people back all the time, often describing them over the MDT. Tfl want to adapt this one hat fits all policy with regards to their decision making, which is silly. You watch how your hooded hooligans the intoxicated masses in Haringey and Hackney react to this. Indeed, it would make it redundant. Alternatively, if the situation is very dire. 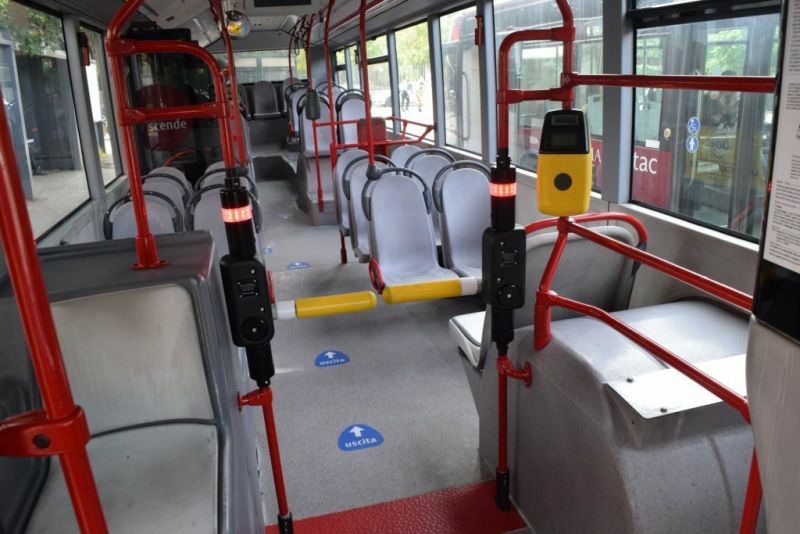 TfL could alternatively follow a similar solution to other European countries with fare evasion, where actual barriers are put in place at each door, and they only open when a valid pass has been accepted.